Description:- "Nimesulide is used in the treatment of osteoarthritis, fever, rheumatoid arthritis, menstrual pain, post operative pain and muscular pain.It should not be used in children below 12 years of age.It blocks the release of certain chemical messengers that are responsible for inflammation, pain, and fever. 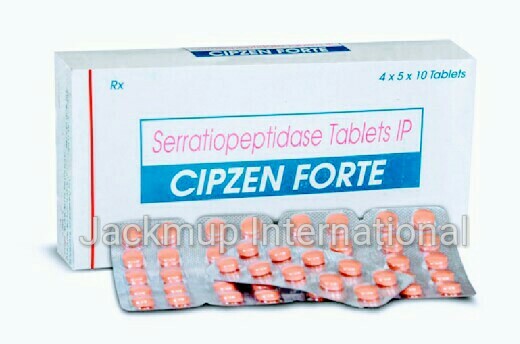 Serratiopeptidase is used in the treatment of pain and swelling.It is an enzyme that acts by breaking down the chemical mediators that are involved in causing pain and inflammation, thereby reducing the pain and inflammation." if you are allergic to Nimesulide, or any of the other ingredients of this medicine. if you have or had gastric ulceration/bleeding in the past. Do not consume more than one pain-relieving medication at a time. .Caution is advised with the use of Nimesulide if you have bleeding disorder. Nimesulide may cause infertility in women, and should not be consumed by women planning to become pregnant This medicine should not be given to a child under 12 years of age. Treatment with Nimesulide should be of short duration and discontinued if it is of no help.